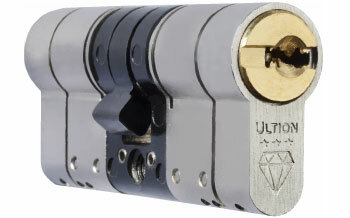 Our Bromsgrove locksmiths can supply and fit you high quality police and insurance approved anti-snap locks. As a local locksmith we cover a wide area including Barnt green, Coften hackett, Licky End, Blackwell, Redditch, Bromsgrove and studley for all Emergency Locksmith help. Our Local Locksmiths have taken pride in serving our service in the Bromsgrove area for many years with our dedicated Local locksmiths you can be assured that we will gain you access back into your premises fast with our non-destructive entry service saving you time and money. All of our Bromsgrove Coften hackett and Banrt green locksmiths are all highly professional with a friendly and positive attitude towards each job. Furthermore all our Bromsgrove locksmiths are CRB Checked as well as being covered by our company public liability insurance, So if you are looking for a trusted Bromsgrove locksmith or for any of the surrounding area then RTH Locksmiths is the only answer to all of your problems. Our Bromsgrove locksmith office is extremely proud of the professional service they offer along with its 24 hour rapid response time they will do everything possible to get you a local locksmith as quickly as possible we aim to be with you within 30 to 45 minutes from your call the locksmith will keep you updated on their journey time, Please read what our customers have to say about our performances in response time and our workmanship, allowing google to address us with a five star review. Visit our happy customer's reviews page. Here at RTH Locksmiths we offer you professional and quality workmanship, so don't wait for it, call us now direct from your mobile phone or use our contact us page to get in touch with us now.